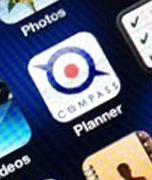 Compass Softwares is a Software house located in the city of Bangkok , Thailand. Mainly, we provide to our customers Software Customization Development services. Customize Software is a software that was developed and programed especially for our customer or organization that asked for it ,this software should answer specific issues and problems that these organizations are dealing with. Custom Software may have many shapes or designs and can run on many platforms, which also include different Databases or programming environment. Custom software, in any kind (as list below) normally developed for a single customer and support specific customer preferences and expectations for operating its data over its business, finally it solve all data problems that a company or organization need to deal with. Most of the time we designed Custom software in stage by stage processes, by doing this it allowing all issues and possible hidden requests to be taken into consideration, this also including issues which were not mentioned in the specifications. Custom Software is considered often as an expensive solution over readymade shelf products, but this is most of the time is not true, especially if we will check the cost/value after the implementation is done. Therefore one of the important goals of our team is not just to provide effective solutions, but also to meet our customers needed in term of budget and to find a cost effective solution. In order to do that we have to follow not just one technology or another, but normally we tent to mix tools and frameworks, using existing code and components, follow by creative thinking. This allowed us to provide solutions with standard development tools, in short time and most important in the budget of our customer. This means that our team needs to follow up very often on new solutions and frameworks which are around and to find the best way to adopt it into our custom development software. Developing Our software with these guys was very helpful process for my business operations as well as for my team and employees , they did not just provide me a software to work with , but they also open for me a windows with completely different point of view on how to develop a software on time with my actual budget. 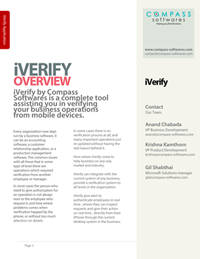 iVerify is a complete tool assisting you in verifying your business operations from iPhone devices. iVerify gives alerts to authenticate employees in real time , where they can inspect requests and give their action on real time. 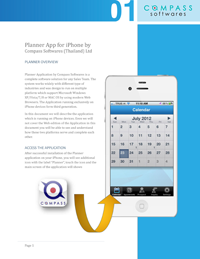 Planner Application is a software solution for any Sales Team. The system works widely with different type of industries and was design to run on multiple platforms by using modern Web Browsers. The Application running exclusively on iPhone devices form third generation. To get our company profile , please type your email address and click send.